Cats are known for their independent, free-spirited natures. Cats do whatever they want to do. It’s inspiring to many but in order to create a space where we can live our best lives, we need to do a bit of planning. You should be financially independent by the time you hit your late 30s but in order to get there, you’ll need to stay on top of your money. A good place to start is with a budget or start using money management apps to better track your cash. Once you retire, you’ll have the experience and free time to do whatever your heart desires. So be sure to plan ahead and build up a decent pension pot so that you can stay financially independent and enjoy your freedom. Cats are notable acrobats and rumoured to have a nifty nine lives. Cats are able to get themselves out of sticky situations (even if they’ve put themselves there in the first place!) by finding creative escape routes that others miss. You don’t need to be athletic in order to prepare better for your future. We aren’t all born with perfect co-ordination (or maybe any co-ordination at all) but we can each build our own escape routes, bit by bit. Like our furry friends, be sure to give yourself the space to manoeuvre when you most need it. You can do this by setting up multiple savings funds like a retirement fund, an emergency fund, and funds for more short-term purposes. By setting up funds for distinct purposes, you’re able to navigate situations better and with more confidence. Unexpected bill? Covered by your emergency fund. Ready to retire? Covered by your pension. Want a last-minute holiday? Set up a getaway fund to feed your spontaneity. A little bit of prep goes a long way to some financial agility. 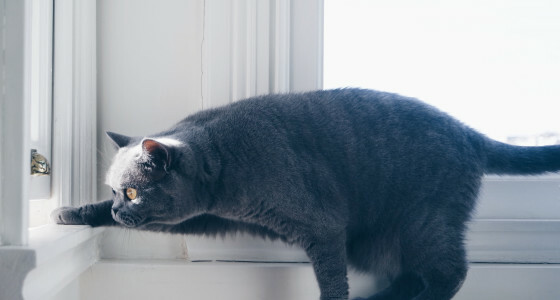 Cats are amazing hunters because of their hypervigilance. They know when to go in for the kill and when to patiently wait it out. This attitude translates to money, as well. It’s important to gain a strong understanding of your finances, how they work, and what behaviours work best for you and your goals. Sometimes this can seem daunting but it doesn’t have to be scary. Start with a budget and go from there. Exercise caution when it’s appropriate. Do your research before making big financial decisions and adapt your money choices to suit your needs as they change. For example, some investment plans work by choosing investments that are riskier but encourage greater growth when you’re young, but prioritise stability over growth as you get older. Setting up automatic payments can also help you to make smarter decisions, if you can afford to do so. Paying off your credit card automatically every month and transferring some of your salary directly into your savings funds will help you to build stability without any extra hassle. Above all else, cats like to be pampered. One of the best life lessons you can take from mog: treat yourself. Take pride in sorting out your finances but don’t forget to enjoy today and appreciate where you are right now. Budget in some luxury each month, whether it’s your favourite hobby, a night out, or something really special. Cats know how to enjoy themselves, after all.